The city of Heraklion is the capital of Heraklion, the largest city of Crete. Visit the Venetian harbor with the castle, the Archeological Museum, the ancient Minoan city of Knossos. 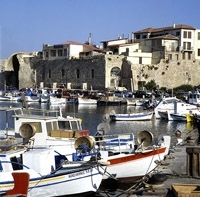 Heraklion is a modern city with an airport, port, bus station and a big market for shopping - services of all kinds.